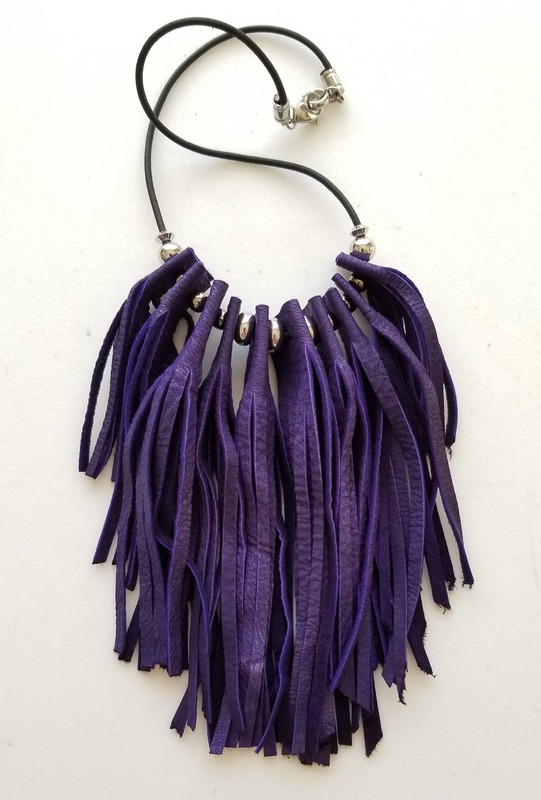 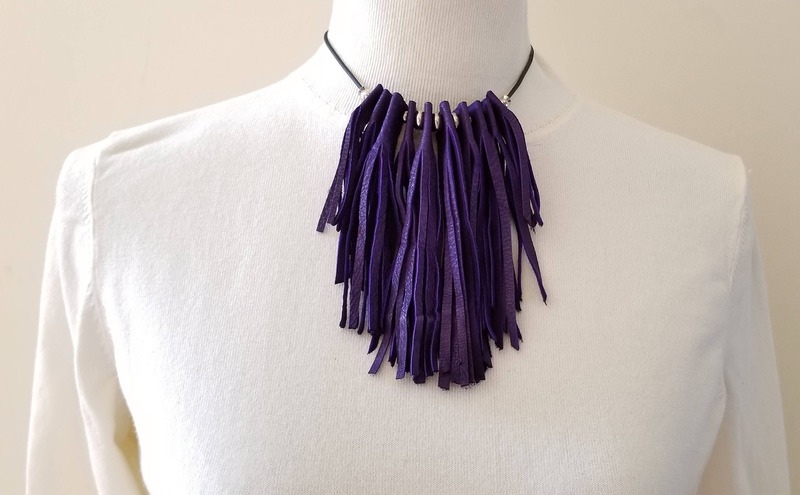 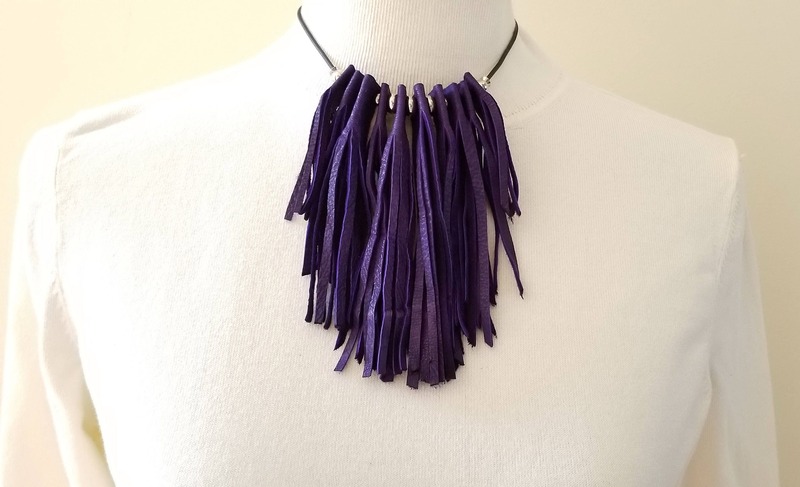 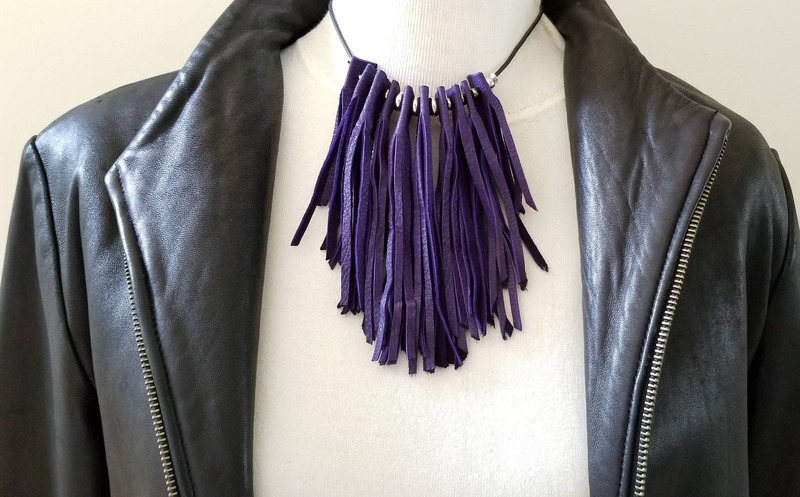 Soft Purple deerskin leather bib necklace. 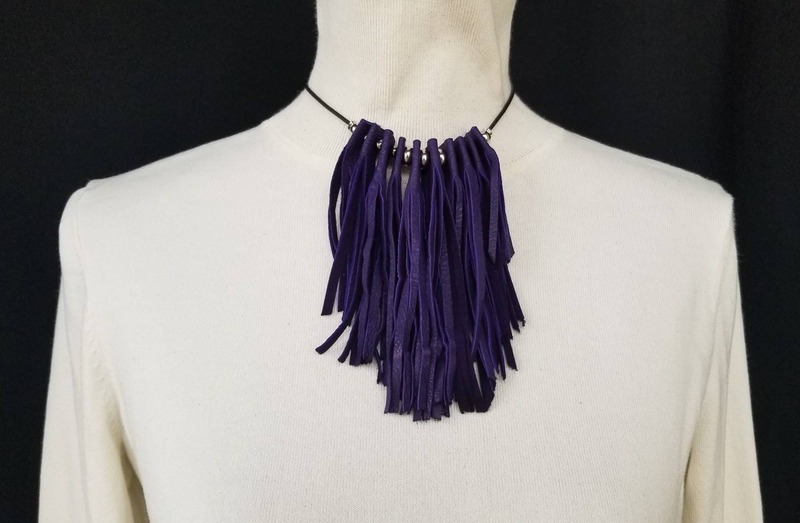 A unique and very simple design. 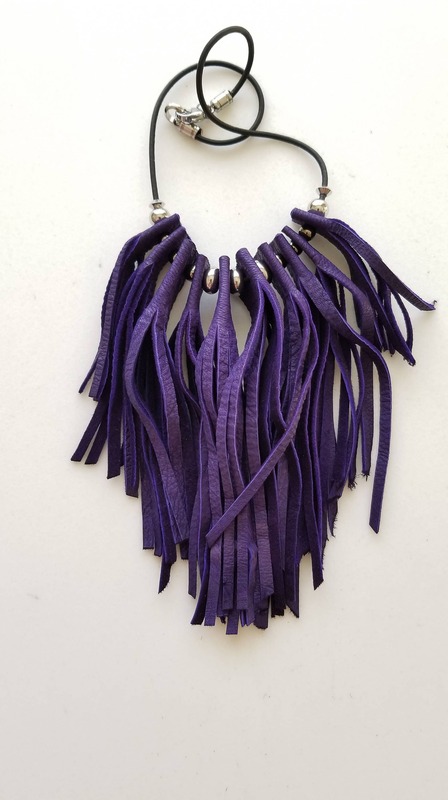 Fringes vary from 3 1/2 " to 5"